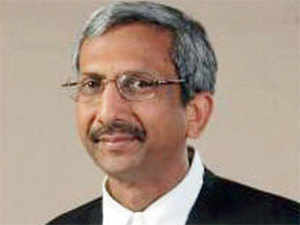 Soft-spoken, equable Supreme Court judge Adarsh Kumar Goel, who courted controversy over his recent decisions to bar immediate arrests under 498A (the anti-dowry section), IPC and the SC/ST Act, retired on Friday and was immediately named NGT chief for five years. Justice Goel defended his decision to put in place a mechanism which would ensure scrutiny of charges levelled under these laws before anyone is arrested, in a bid to protect arbitrary arrests by those who misuse the law. “The courts must protect the innocents or wind up,” he said, defending his judgements at his farewell speech on the lawns of the court. His SC/ST verdict created a commotion in the political class angling for Dalit votes and unrest among the Dalits who took to the streets in protest. A review petition against this decision is pending. Justices Goel and UU Lalit had, however, refused to restore the law to its original position, insisting that they would hear the objections against its mechanism later. That will now be heard by another bench comprising justice Lalit and one more. Justice Goel’s order diluting 489A is also up for scrutiny in another case. A bench headed by CJI Dipak Misra has since stayed the order. “Can a court change a statute,” the CJI had observed sitting in a threejudge bench, which can overturn justice Goel’s safeguards to prevent the misuse of the anti-dowry laws to arrest an entire family.